Today he blogs about a Maritimer from the Canadian Correctional Services who is voluntarily having his tour extended to ensure he completes the mission. That's dedication to which we owe a debt of thanks. And he's extending his tour primarily to help trainees like the one who exclaimed on his first day of training. "I'm twenty-eight years old, and I'm so happy - this is the first time in my life sitting in a real classroom with a teacher and books!" As Damian reports: "This is what motivates a man with a wife and two kids at home in Nova Scotia to put in for a three month extension of his year-long tour: so that he can see the last of the trainees he started with finish Phase 3. "It's about finishing what I started," Kevin said. "For the average person used to North American standards, you come in and say 'these guys have so much to learn.' But if you'd seen them since the beginning of their training - they've come so far..."
Check out the whole post at the link below. You'll be glad you did. Last week, Scott Kesterson was in Edmonton for a special screening of AT WAR with the Canadian soldiers from Princess Patricia’s Light Infantry (PPCLI) as announced by Troy Steward at Bouhammer's Afghan and Military Blog . He met with the original platoon that he was embedded with back in July 2006, 2 Plt, A Company, PPCLI, on Tuesday night for a private screening, and subsequently presented AT WAR in a public screening at the PPCLI headquarters building last Thurdsay, 22 January 2009, at 7pm. The event was covered by CBC. Their coverage will air this week in conjunction with a feature mini-documentary CBC produced on the story of David Leeson and Scott Kesterson and the making of AT WAR. Here is Troy's first one-on-one interview podcast featured on bouhammer.com. This interview was conducted with freelance journalist, embedded reporter and filmmaker, Scott Kesterson. They talk almost exclusively about his film, AT WAR, but also dive into the current state of the war in Afghanistan. Below is an excerpt from AT WAR. This guy is good. This is really excellent reporting and far better than most I've seen from embeds with the Canadian Forces. It helps that he's a former Canadian Soldier. The quality of his photojournalism is superb. Some of the photos are National Geographic quality. Really amazing. And the videos round it all up into a nice complete package. It's well worth your time to follow these posts if you have any interest in what the Canadian Forces are doing in Afghanistan. Damian has wasted no time since his embed. There are six posts as I write this and more to come. Canadian Milblogger Damian Brooks, founder of The Torch , is in Afghanistan currently with the Canadian Forces, and getting excellent cooperation from the military. In fact this embed has been years in the planning. "Memos went up the chain of command, and back down again. Never any luck. And then, just recently, approval." he wrote recently prior to embarking on this trip. As far as he knows he's the first independent milblogger to be invited on what's termed a Regional Media Familiarization Visit funded by the Canadian Forces. He is part of a group invited by the CF which includes Jean Laroche of the Journal de Quebec, Ian Shantz of the Barrie Examiner, and Ian Elliot of the Kingston Whig-Standard. Damian has an excellent reputation for trying to keep the MSM from skewing their reporting on National Defense. While the military is paying part of his expenses, he is doing the rest on his own time and his own dime so, please, if you can afford it please don't forget to hit his tip jar at the link below. Let's help Damian become the Canadian Michael J. Totten. 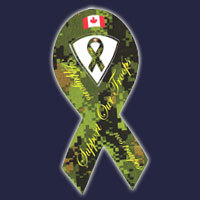 In two previous posts I've expressed my concern regarding the treatment Captain Robert Semrau by the Canadian Military. The author of the following article, Peter Worthington, is a veteran of World War II and Korea. In Korea he served as an Intelligence Officer in the Princess Patricia's Canadian Light Infantry (PPCLI) in combat. He's also one of the founding members of The Toronto Sun, the paper in which this article appears. He is recognized as one of the foremost writers on military matters. Mr. Worthington has and continues to make an outstanding contribution to the perpetuation of the memory of the sacrifice and contributions of all Canadian Veterans, including serving soldiers such as Captain Robert Semrau currently facing a court martial for an incident in Afghanistan during combat operations. Army 'eating its own' again? A saying in the Canadian military that "we eat our own," is being heard in the case against Capt. Robert Semrau, charged with the second-degree murder of a badly wounded Taliban ambusher during a patrol in Afghanistan. Even if the charge is reduced, as some think is likely, Semrau's career in the army is toast. The fact he was charged means he's finished. The damage to the morale of our soldiers in the field is another matter, and raises the question of who reported the incident that occurred last October and didn't surface until it was investigated 2 1/2 months later, with charges laid on Dec. 30. No dead body was recovered -- which may be relevant when Semrau's court martial is held. This isn't a first for Canada's military. Remember the case of Lt.Cdr. Dean Marsaw, Canada's top submarine commander (the Ojibwa) in the early 1990s? He was charged and found guilty on five counts of physical and verbal abuse of crew members, stripped of his rank and dismissed from the navy. His appeal was going nowhere until he waged a 29-day hunger strike that got media attention. Then, the military appeal court ruled he was wrongly charged, had been subjected to inappropriate questions and was exonerated. The main "victim" of his "abuse" had no memory of it. But Marsaw's career was finished -- he'd challenged authority, won, but was unforgiven. Col. Serge Labbe, overall commander in Somalia when a prisoner was tortured to death, was considered a prospect to someday be chief of defence staff. Somalia sidetracked him for nearly 15 years. He was finally promoted to brigadier-general on retirement, complete with retroactive general's back pay, but still a casualty. In the interim he'd been accused by a junior officer of harassing an officers mess waitress. The general who was personally handed the complaint, claimed never to have read it. No action was taken, and the career of the officer making the complaint came to a halt until he quit the army. In Bosnia, during UN peacekeeping, Maj. Ross Wickware was outstanding in developing working relations with Serb militants, even negotiating the opening of the closed highway to Sarajevo. He erred in attending an important wedding put on by the Serbian commander, and a Canadian corporal subsequently reported him drunk. The Commanding Officer was on leave, but Wickware was charged and sent back to Canada for court martial. At Wickware's trial in Calgary, the Serbian commander got special permission to come to Canada to testify as to his value to the peace process. Charges were reduced to a letter of reprimand on his file. But Wickware's bright military career was finished. The army acknowledged his worth, but had him for lunch. Warrant Officer Matt Stopford was decorated for leadership in Croatia, but the army failed to tell him they'd discovered his own men found him too gung-ho and were poisoning his coffee. When Stopford -- blind in one eye and crippled with internal injuries -- sought to learn the names of those who poisoned him, the army refused on grounds of respecting the privacy of the perpetrators. Nearly 10 years later, the Minister of Defence sent Stopford to the Mayo Clinic which reported they'd delayed too long for a cure. The next minister apologized to Stopford and awarded him a financial settlement. After 17 years as a soldier, Stopford, at age 34, was cast aside with life-altering internal afflictions. Lt.Col. David Moore, commander of the Canadian battle group in Bosnia, was earmarked for blame in a scandal at the Bakovici Mental Hospital where custodial staff had fled, leaving the VanDoos to clean up. What saved Moore was the publication of his diary that showed he tried desperately to correct the hospital situation, and even brought charges against the defiant VanDoos. Although absolved, Moore's career was over. Charges against the VanDoos went nowhere. Moore left the army -- another good man consumed by the army he served. In a way, Capt. Semrau seems the latest example of the army eating its own -- a battlefield casualty that is hard for those who've not experienced battlefields to understand. As America’s most famous warrior-scholar looks to export his Big Ideas about fighting wars from Iraq to the arguably even tougher battlefield of Afghanistan, FP’s executive editor, Susan Glasser, spoke with him in the Pentagon days after he took over his new command. Gen. David Petraeus: In looking at which lessons learned in Iraq might be applicable in Afghanistan, it is important to remember a key principle of counterinsurgency operations: Every case is unique. That is certainly true of Afghanistan (just as it was true, of course, in Iraq). While general concepts that proved important in Iraq may be applicable in Afghanistan—concepts such as the importance of securing and serving the population and the necessity of living among the people to secure them—the application of those ‘big ideas’ has to be adapted to Afghanistan. The ‘operationalization’ will inevitably be different, as Afghanistan has a very different history and very different ‘muscle memory’ in terms of central governance (or lack thereof). It also lacks the natural resources that Iraq has and is more rural. It has very different (and quite extreme) terrain and weather. And it has a smaller amount of educated human capital, due to higher rates of illiteracy, as well as substantial unemployment, an economy whose biggest cash export is illegal, and significant challenges of corruption. Finally, it lacks sufficient levels of basic services like electricity, drinking water, and education—though there has been progress in a number of these areas and many others since 2001. One cannot adequately address the challenges in Afghanistan without adding Pakistan into the equation. In fact, those seeking to help Afghanistan and Pakistan need to widen the aperture even farther, to encompass at least the Central Asian states, India, Iran, and even China and Russia. FP: Defense Secretary Robert Gates has said that U.S. efforts in Afghanistan were really on the verge of failure. What’s your incoming assessment? DP: I told [then] Secretary Donald Rumsfeld in September 2005 that Afghanistan would be the longest campaign in the so-called ‘long war.’ That judgment was based on an assessment I conducted in Afghanistan on my way home from my second tour in Iraq. And having been back to Afghanistan twice in recent months, I still see it that way. Progress there will require a sustained, substantial commitment. That commitment needs to be extended to Pakistan as well, though Pakistan does have large, well-developed security institutions and its leaders are determined to employ their own forces in dealing with the significant extremist challenges that threaten their country. FP: I was rereading an account of an Afghan veteran from Soviet operations there. After every retaliatory strike, he said, ‘Perhaps one mujahideen was killed. The rest were innocent. The survivors hated us and lived with only one idea—revenge.’ Clearly [U.S.] engagement in Afghanistan didn’t start out in the same way as the Soviets’ did, but one of the questions is whether all these occupations wind up similarly after seven years. DP: A number of people have pointed out the substantial differences between the character of Soviet involvement in Afghanistan and that of the coalition forces in Afghanistan, especially in the circumstances that led to the respective involvement, as well as in the relative conduct, of the forces there. Foremost among the differences have been the coalition’s objectives: not just the desire to help the Afghans establish security and preclude establishment of extremist safe havens, but also to support economic development, democratic institutions, the rule of law, infrastructure, and education. To be sure, the coalition faces some of the same challenges that any of the previous forces in Afghanistan have faced: the same extreme terrain and weather, tribal elements that pride themselves on fighting, lack of infrastructure, and so on. In such a situation, it is hugely important to be seen as serving the population, in addition to securing it. And that is why we’re conducting counterinsurgency operations, as opposed to merely counterterrorism operations. FP: Tell me where you see lessons from Iraq that might not apply in Afghanistan, and things that you will export. DP: We cannot just take the tactics, techniques, and procedures that worked in Iraq and employ them in Afghanistan. How, for example, do you communicate with the Afghan people? The answer: very differently than the way you communicate with the Iraqi people, given the much lower number of televisions and a rate of illiteracy in the Afghan provinces that runs as high as 70 to 80 percent. Outside Kabul and other big Afghan cities, Afghans don’t watch much television; they don’t have televisions. In Iraq, one flies over fairly remote areas and still sees satellite dishes on many roofs. In Afghanistan, you not only won’t see satellite dishes; you also won’t see electrical lines, and you may not even find a radio. Moreover, you can’t achieve the same effect with leaflets or local newspapers because many Afghans can’t read them. So, how do you communicate with them? The answer is, through tribal elders, via hand-crank radios receiving transmissions from local radio stations, through shura councils, and so on. FP: What people most want to know, of course, is: Where does this end? The counterinsurgency principles, your own statements in the past, have focused on the idea that such wars end with political solutions—you don’t kill your way out of it. DP: One of the concepts we embraced in Iraq was recognition that you can’t kill or capture your way out of a complex, industrial-strength insurgency. The challenge in Afghanistan, as it was in Iraq, is to figure out how to reduce substantially the numbers of those who have to be killed or captured. This includes creating the conditions in which one can have successful reconciliation with some of the elements fighting us. Progress in reconciliation is most likely when you are in a position of strength and when there are persuasive reasons for groups to shift from being part of the problem to becoming part of the solution. In Iraq, that was aided by gradual recognition that al Qaeda brought nothing but indiscriminate violence, oppressive practices, and an extremist ideology to which the people really didn’t subscribe. Beyond that, incentives were created to persuade the insurgents that it made more sense to support the new Iraq. The challenge in Afghanistan, of course, is figuring out how to create the conditions that enable reconciliation, recognizing that these likely will differ somewhat from those created in Iraq. FP: Do you think that does involve speaking with warlords, people like [Gulbuddin] Hekmatyar, who up to now have been absolute non-starters? DP: Any such outreach has to be an Afghan initiative, not the coalition’s. In Iraq, frankly, it was necessary for the coalition to take the lead in some areas where there was no Iraqi government or security presence. FP: Do you think there is something qualitatively or quantitatively new and different about the insurgencies that U.S. forces have encountered in Iraq and Afghanistan? DP: We looked at this issue closely when we were drafting the counterinsurgency manual. And we concluded that some aspects of contemporary extremist tactics are, indeed, new. If you look, as we did, at what [French military officer] David Galula faced in Algeria, you find, obviously, that he and his colleagues did not have to deal with a transnational extremist network enabled by access to the Internet. Today, extremist media cells recruit, exhort, train, share expertise, and generate resources in cyberspace. The incidence of very lethal suicide bombers and massive car bombs is vastly higher today. It seems as if suicide car bombs have become the precision-guided munition of modern insurgents and extremists. And while there has been a religious component in many insurgencies, the extremist nature of the particular enemy we face seems unprecedented in recent memory. FP: The counterinsurgency manual, an object of huge praise, is seen as a key moment in the rethink that put the war in Iraq on a different course. But it has not been uncontroversial. There are people on the left who see it as a form of neocolonialism; conservatives are skeptical of anything they see as nation-building, while others believe that by organizing to fight this kind of war, the United States risks not being prepared for a more conventional conflict in the future. How much of an intellectual debate have these principles stirred up? What do you say to these critics? DP: It’s important to recognize the most important overarching doctrinal concept that our Army, in particular, has adopted—the concept of ‘full spectrum operations.’ This concept holds that all military operations are some mix of offensive, defensive, and stability and support operations. In other words, you’ve always got to be thinking not just about the conventional forms of combat—offensive and defensive operations—but also about the stability and support component. Otherwise, successes in conventional combat may be undermined by unpreparedness for the operations often required in their wake. The debate about this has been a healthy one, but we have to be wary of arguments that imply we have to choose—or should choose—between either stability-operations-focused or conventional-combat-focused training and forces. It is not only possible to be prepared for some mix; it is necessary. A wonderful essay that I read as a graduate student captures the essence of my view on this. The essay discussed the different schools of international relations theory, and it concluded that ‘the truth is not to be found in any one of these schools of thought, but rather in the debate among them.’ That is probably the case in this particular discussion. We would do well to avoid notions that we can pick and choose the kinds of wars in which we want to be involved and prepare only for them. FP: You said [that] even in 2005 when you were in Afghanistan, you reported to Secretary Rumsfeld that this could be the longest part of the long war. DP: I didn’t say it could be. I said it would be. My assessment was that Afghanistan was going to be the longest campaign of the long war. And I think that assessment has been confirmed by events in Afghanistan in recent months. FP: Just how long did you have in mind? DP: Those are predictions one doesn’t hazard. Captain Semrau released on bail today. Here's what we learned from today's bail hearing. The court was told that a unit headed by Semrau was ambushed by Taliban insurgents on Oct. 19 in Helmand province, Afghanistan. After calling in US Air Support following which Capt. Semrau and his unit moved forward to find the severely wounded Taliban fighter and another dead insurgent. As per military procedure, Semrau proceded to take pictures of the two insurgents This was agreed to in statements by both the defense and prosecution. As reported in the media, during this period, two shots were heard and at least one witness reports that he saw Capt. Semrau "firing his rifle at the severely wounded insurgent," according to the statement read to the court by Maj. Trudel. Following this the Soldiers moved on and the bodies of the two insurgents were "left behind and not recovered." "After evaluating all available evidence, the prosecution believes that it was Capt. Semrau who fired both shots, that these shots resulted in the death of the severely wounded insurgent and that Capt. Semrau had no lawful justification for shooting the severely wounded insurgent," Maj. Trudel told the court, as reported in The National Post. Now we wait and see how this plays out. The few sentences regarding the events of Oct 19, 2008 do not depict the size and duration of the conflict. Some things I've read suggest that it was a very large operation involving British and other coalition troops, but I can't separate out the part that Captain Semrau's Mentor Liaison Team played in the overall action. Let me just point out that "left behind and not recovered" is military speak for there was not a body to be found after the action was completed. Perhaps this may prove problematic for the prosecution. Scott Taylor, former Canadian Soldier and founder of Esprit de Corps Magazine has speculated that this may have been a 'mercy killing'. In the absence of a body how do we prove it was a 'killing' at all. Hopefully the court proceedings will be transparent so that justice can be seen to be done. Is Captain Robert Semrau being Scapegoated? Captain Robert Semrau, a Canadian soldier charged with the second-degree murder of a presumed insurgent in the Helmand Province of Afghanistan in October was scheduled to appear today before a custody hearing at Canadian Forces Base Petawawa. According to University of Ottawa lawyer Amir Attaran, "This to me doesn't pass the smell test," he said in an interview published in the National Post. "The event in question happened in October and nothing happens for over two months until on the 31st of December, the NIS decides to investigate. Either the NIS sat on its hands for two months or nobody spoke for two months." Attram who has criticized the Defence Department for how it handled the issue of Afghan detainees, said "I wonder if the family (of Capt. Semrau) feels the same way. (about the delay in charging the Soldier) They should." Many observers have asked, and this is what disturbs me, whether the military had been sitting on the case for more than two months between the alleged incident and the announcement by the National Investigation Service (NIS) of an investigation into the matter. And why the secrecy? The NIS statement says the task force commander in Kandahar was only made aware of the incident on Dec. 27; Capt. Semrau was charged Dec. 31. This seems peculiar to say the least. The incident in question ocurred on October 19 and the military is refusing to release any details. As reported in the Globe and Mail "Lashkar Gah came up pretty quick; we weren't tracking on it at all," Major Steve Nolan, commander of the Canadian advisers serving with an Afghan kandak, or company, said during an interview in early December. "They called us at 6 o'clock one night and said by 6 o'clock tomorrow morning you need to be in Lashkar Gah." The small team of Canadian mentors scrambled to prepare about 250 Afghan troops for about two weeks of fighting, something the unit had not previously experienced. The sheer scale of the fighting meant the battlefield grew chaotic." An Afghan army general who was on hand for the battle of Lashkar Gah said he had heard none of the allegations of “inappropriate conduct” surrounding the presumed insurgent’s death. Gen. Sher Muhammad Zazai said the Afghan army killed so many Taliban fighters during the fight, it’s impossible to know how they all died. This only reinforces the curious nature of the delay and secrecy regarding the charges against Capt. Semrau must be given the benefit of the doubt, until he has been heard by a competent and impartial tribunal. Those wishing to show their support for Captain Semrau and his family can pay their respects at a Facebook site titled "Support the Freedom of Capt. Robert Semrau".